Things That Make You Go HHMMMMM…. You undoubtedly have a lot on your mind right now, with the new years’ resolutions, post-holiday shopping/returning and recovering from New Year’s Eve. Here are a couple thought provoking tidbits for you to ponder as you figure out how you would like this year to unfold. Chia seeds are high in soluble fiber, which means they not only fill you up, but also help to lower cholesterol and prevent fat absorption – try adding 1-2 spoonfuls to your diet every day. Your skin becomes drier and secretes less oil as you age. Lotions don’t generally help, but oils will – try almond, vitamin E or coconut oil on your skin after bathing and before bed. The alpha hydroxy acid found in lemons is similar to the alpha hydroxyl found in those pricey boutique products and dermatology peels. In all cases, the acids gently exfoliate the top layer of your skin, leaving you feeling refreshed and glowing. Try making your own sea-salt scrub (adding some lemon) and have some friends over for a ‘spa-day’. Tart cherries have extraordinary antioxidant properties and have been shown to help ease muscle soreness and promote heart health. Black currants have five times more vitamin C than an orange. Throw some on your next salad to help boost immune function throughout the winter. And speaking of vitamin C, another food that you should eat regularly is kale. Kale is an excellent source of not only vitamins C and A, but also calcium, iron, cholorphyll, lutein, zeaxanthin and indole-3-carbinol (I3C) – if all those things sound good, they are. 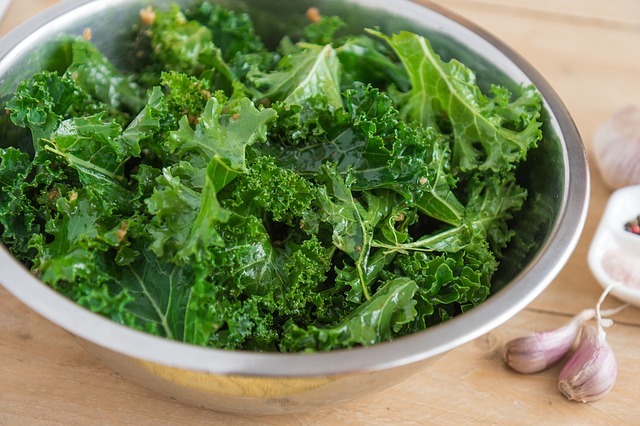 Get even more bang for your buck and eat the kale slightly wilted or steamed to release even more nutrients.